Surrounded by the silhouettes of the ancient Porcupine Mountains, Lake of the Clouds is a blue gem amid the thick forests. In late spring and summer, the valley below is bathed in emerald green of old-growth forest, and in the fall, the trees burst into a fiery palette of oranges, yellows and reds. Lake of the Clouds is the most photographed feature in the Porcupine Mountains Wilderness State Park, and one of the most photographed in the entire Upper Peninsula. Lake of the Clouds is easily reached via a fully-accessible overlook and can also be reached via the Big Carp River Trail and the Escarpment Trail. 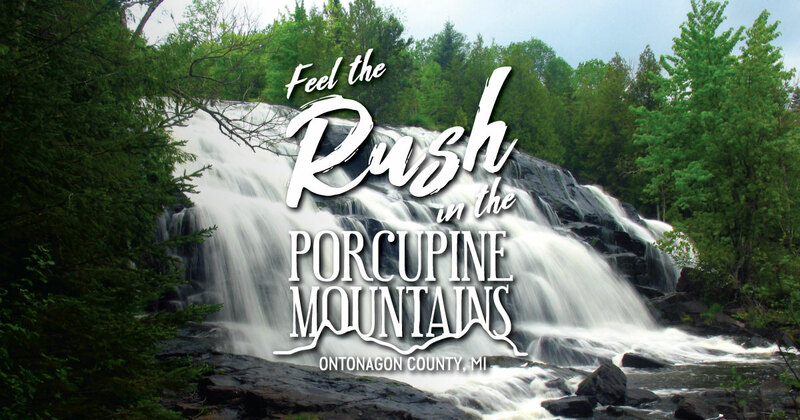 Learn more about hiking in the Porcupine Mountains Wilderness State Park here. Lake of the Clouds is also known for its bass fishing. The lake is catch-and-release only and there are no boat rentals on site. Light watercraft can be carried in on a ¾-mile hike. Anglers can also try shore fishing or use waders. Learn more about fishing in the Porcupine Mountains here.